Page of "Why You Should Build your Own PC Rather than Buying One". Building your very own PC is a great way of getting the computer you have always desired as you can customise to what you need it for i.e. home, business or gaming. It makes plenty of sense to do it this way but on the other hand, you cannot beat the convenience of just picking a PC off the shelf in a retailer store. The devices being used people are changing from the traditional PC to smartphones and tablets but there is still value in having a PC. Even though you have to pay a little bit more for these high-end PCs, they will perform better than the off the shelf PC. In this post, we will discuss the advantages and disadvantages of why should build your own PC? One of the main advantages to building a custom built PC from scratch is the variety of parts. With pre-built systems, it will have its own components and specifications already chosen for you. This results in the customer having to make compromises on what they want and need. By building your own, it gives you the choice over what parts you need to use in order to meet your own specifications. Another factor is that with pre-built systems is that no two models are the same as each other as they will both have different parts. Building a PC from scratch also increases your knowledge, as the user will learn to understand how all the parts work. By gaining this knowledge, it will help to troubleshoot any problems the computer may have and will end up saving you money on repair bills if you can do it yourself. The final advantage is the cost. The more powerful the PC you have will end up saving you money if you build your own rather than buying one. 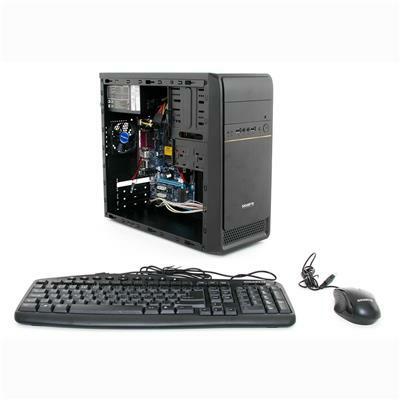 The main disadvantage is the lack of help from one company as each part you used in the PC will have probably come from a different manufacturer and if there is a problem with it, then you will have deal to with the appropriate organisation to get it fixed. This is where a pre-built system has an advantage because if anything goes wrong, you only have to deal with the manufacturer and their warranty department. On the other hand, building it yourself and a part fails, then it is quicker to replace it yourself rather than waiting for manufacturer to send another part out. Choosing the parts for your own PC can be a testing process especially if you do not know much about the technology and are building a PC for the first time. Research about the different parts is key because you might build your PC with parts that do not work together or may not fit within the case. Overall, it is definitely worth investing time and money into building your own custom PC, as you will be getting a machine with the parts you want and has been designed for the tasks you want it for.